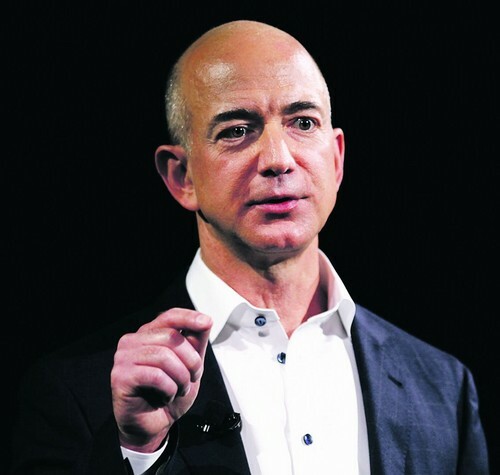 In an August 16, 2015 article, The New York Times took an in-depth look at how Amazon, initiated and encouraged by CEO Jeff Bezos, operates internally. Even in a time when unquintessential leadership is the norm in almost every organization, the environment and culture at Amazon stands out as being at the most extreme end of unquintessential leadership. Let’s look at what unquintessential leadership looks like from Amazon’s playbook. I hope everyone reads the article because the details are that important, but I’m going to look at the big-picture areas of unquintessential leadership here. There is no teamwork at Amazon. Instead, each person is out for themselves and is encouraged to do whatever it takes to get themselves noticed, promoted, and distinguished from everyone else. There are no boundaries and there is no room for respect. The environment and culture at Amazon says, instead, that everyone else working there is the enemy and must be eliminated with extreme prejudice. Extreme prejudice is a military euphemism for assassination. Amazon not only encourages extreme prejudice, but it promotes it by having many mechanisms in place to accomplish it. The Amazon culture and environment is one of competition, backbiting, sabotage, bullying, and spying. Everybody is looking at everyone else and looking for something, anything to denigrate, criticize, or destroy everybody else. If nothing exists in actuality, the culture encourages manufacturing it (lying) to get ahead. A secret feedback system is in place where everyone can continuously give feedback on everyone else based on every interaction they have with each other. Amazon spins this as a state-of-the-art data-driven performance system, but it is really a tool that seeks to eliminate with extreme prejudice. Beside the malevolent intent behind this feedback system, which is in itself unquintessential leadership, the data – which now rules everything in our society – is corrupt because it depends on humans. Who have bad days. Who have positive and negative emotions. Who sometimes have really bad interactions with or negative reactions to even people they love and cherish and would give their lives for, but who are far, far more prone to those with and toward people they don’t know, don’t like, or they see as their enemies. Unquintessential leadership at Amazon can also be seen in its oppressive micromanagement system. It appears that the people in mid-level leadership positions spend all their time with microtracking the corrupted data about their employees and using short threat-filled and bullying mostly faceless interactions based on the corrupt data instead of actually working with their employees and helping them to contribute to the company. Everything’s a test at Amazon. Emails sent in the middle of the night with an expectation of immediate response. Working long and grueling hours. Sacrificing everything – health, family, and life – to Amazon. Amazon is the god that must be exclusively worshiped by its employees. If an employee can’t make and keep that commitment, then that employee is eliminated. And much like the people who disappear in George Orwell’s 1984, every trace and record of the eliminated is expunged. They simply never existed. Amazon’s culture is designed according to the unquintessential leadership dream: completely break everybody. Those who survive can be rebuilt into the automaton Amazon mold of unquintessential leadership. Those who don’t survive were weak, useless, unworthy, and never mattered anyway. They are not missed because they never existed. These are the overarching areas of what unquintessential leadership looks like at Amazon. But I challenge each of us not to sit here smugly patting ourselves on the back because we’re not like THAT. The reality is that a lot of the elements of unquintessential leadership at Amazon – for which the company is not only unapologetic for, but also wears like a badge of honor – exist in most organizations today. It may be more hidden, more subtle, or sugarcoated as being helpful or productive, but it is just as dangerous, just as damaging, and just as destructive. As quintessential leaders, we can never allow ourselves to be deceived into thinking any manifestation of unquintessential leadership is permissible and okay. It is never permissible and it is never okay. Here’s where the mirror test comes in for you and for me. What do you and I think about the unquintessential leadership at Amazon? What do you and I think about the unquintessential leadership in our own organizations? Are you and I okay with it or are you and I standing up to it and fighting against it, even if it costs you and me everything to do so? Our answers to these questions determine whether we are on the main road of unquintessential leadership or we are on the less-traveled-by road of quintessential leadership.